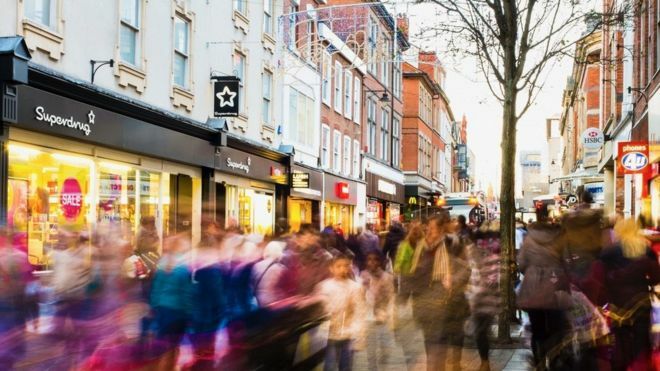 Attempts to increase the number of people shopping on UK High Streets has been given a boost by search giant Google. It has teamed up with start-up NearSt to help consumers see what is available in their local shops via the web. The search results will also tell people the distance to the shop and the price of goods for sale. The live inventory system should help make it “as easy to shop locally as it is online” said Google. NearSt was founded three years ago by digital brand experts Nick Brackenbury and Max Kreijn. Mr Kreijn literally had a “lightbulb moment” when one of the bulbs in his flat went, and he searched online to buy a replacement. “That’s how he pitched the business to me,” Mr Brackenbury told the BBC. “It seemed crazy that it was easier to get a lightbulb shipped from a warehouse than from a shop 100 metres from his house. “We all live our lives through our smartphones but they are blind to what is on the shelves of shops we are walking past. If that is made clear to people, then I am very optimistic about the future of the High Street,” he told the BBC. The pair developed technology which connects to a retailer’s point of sale system, extracting the data and showing – in real time – what they stock and at what price. Initially they focused on shops in London, but since the partnership with Google was announced, they intend to run the technology out to high streets around the UK over the next 12 months, particularly for retailers of small, independent stores. 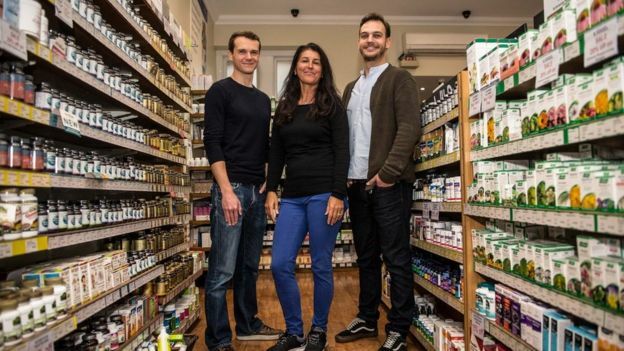 “We are champions of the High Street as a whole but the small shops are the businesses that are able to make the fastest decisions,” said Mr Brackenbury. There have been fears in recent years that the High Street is dying, with both local and national shops struggling to make profits, while online shopping has seen huge growth. But, according to the Office of National Statistics, online sales only account for 18% of total retail sales in the UK. Nearly a third of all Google searches relate to location and it has focused recently on making more of that about local search. Nick Carroll, a senior retail analyst at research firm Mintel said: “We can’t pretend that there are not problems on the High Street and we have seen a number of large chain closures in the last 18 months, but eight out of every 10 pounds is still spent offline.